Fans of A&E’s Bates Motel know the fifth and final season has begun airing this week. We have watched Freddie Highmore play a confused and delusional Norman Bates into a flat-out psychopath who lives with his deceased mother, Norma Louise (Vera Farmiga). We have grown to love him and no longer need to worry about never seeing him on screen again. Sources have revealed that he will play the star role of autistic Dr. Shaun Murphy on ABC’s pilot series The Good Doctor. The drama series will revolve around the young surgeon who leaves the peaceful countryside to a join the surgical team in the big city at St. Bonaventure Hospital; in the pediatric surgical wing. Due to his Savant Syndrome and inability to “fit in”; he uses his extraordinary medical knowledge to prove himself to the people he works with and the patients he is determined to save. The Good Doctor spoilers have divulged that Freddie Highmore’s character will have come from a troubled upbringing, but has survived to become an incredible surgeon; even though he is emotionless, people will be amazed with his brilliance and gut instinct on everything medical. He will work along side his mentor Dr. Ira Glassman, at this time we do not know who will be playing the role. This will be the first role for Freddie Highmore on TV after Bates Motel, where currently they are in their final season. Where ironically he plays the role of a troubled young man, who doesn’t associate well with others and has a strangely, obsessive relationship with his mother. This final season is going to be one of the toughest ones to watch, as fans know its time to say goodbye to many, if not all, of the characters we have grown to love these past five years. Freddie Highmore has proven he can portray almost anyone and has the incredible ability to transform into any character. 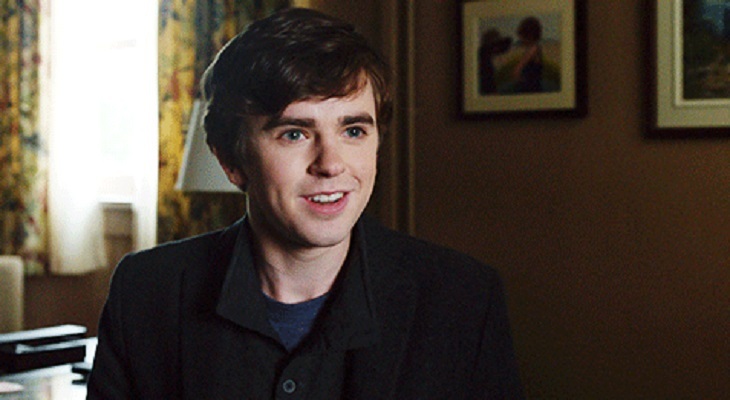 We can only hope that ABC’s The Good Doctor will be given the green light; and give fans of Bates Motel the chance to follow Freddie Highmore on the new series. Be sure to check back with Soap Opera Spy often for updates and news on The Good Doctor. Check back often for updates news and spoilers for A&E’s Bates Motel as well! Get Exclusive Bates Motel News & Updates!